My "garden" this year is an embarrassment. About halfway through June we realized that we had much more important things to tend to -- namely remodeling two rooms in our home -- than gardening. Now the plants that I so carefully planted in spring are overtaken with waist high weeds. However, they are still doing quite well considering. 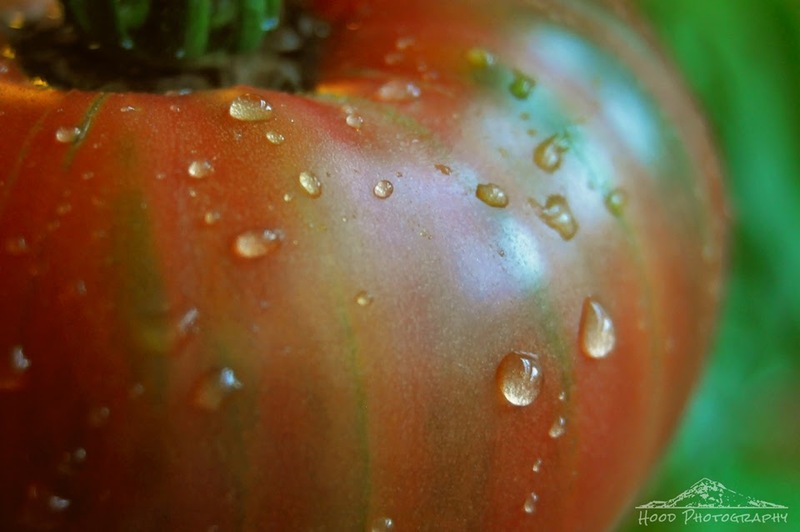 This large heirloom tomato is proof. Outstanding image for a Ruby Tuesday Too. Sometimes everyday life gets in the way of gardening. It does look good! One very tempting tomato - delightful.